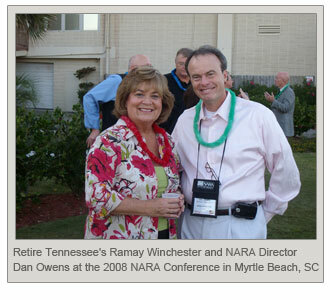 Welcome to the National Active Retirement Association (NARA) Website! Thanks to all who supported and attended the Oct. 20-22 NARA Conference at the beautiful new Columbia (SC) Convention Center! The conference was full of interesting sessions and great discussions about better understanding and doing more business in an aging America. NARA appreciates all the support from attendees and speakers who came from the following states: Washington, DC, Maryland, New Jersey, South Dakota, North and South Carolina, Georgia, Alabama, Minnesota, Florida, Tennessee, Texas, Louisiana and Arizona. We appreciate our longest conference traveler - speaker Colin Milner from Vancouver, British Columbia. Special thanks to Capital City/Lake Murray Country regional tourism board for being the host Diamond Level sponsor. Other sponsors were TW+A Research, GO TEXAN Certified Retirement Community Program, Erickson School of Aging, Palmetto Health and the Columbia (SC) Chamber of Commerce. The topics at a NARA Conference are varied but tie into one main topic: how can we better prepare for and capitalize on the Aging of America? It was interesting listening to national Social Security expert Dr. Joe Gribbin speak to us about the looming crisis of entitlement spending. But, it was equally as interesting hearing Tom Mann brief us on the proper way to communicate and sell by telephone to mature adults. We covered the "Big Picture" but also drilled down to practical tips to help our attendees do a better job of serving their 50+ clients. Whether we discussed retiree attraction, sales and marketing, advertising and internet marketing, designing and building for 50+ folks or new 50+ technology, the NARA sessions were intensive but participatory. Everyone left with a pocket of business cards and lots of ideas and insights. We look forward to another conference this coming Spring, 2011. Thanks to South Carolina Lt. Gov. Andre Bauer and Columbia Mayor Steve Benjamin for welcoming our group. Both of these political leaders obviously "get it" and we were honored to have them come and offer their thoughts and well wishes. Here's hoping your 50+ business continues to do well as we look to a great 2011!